WASHINGTON/PARIS (Reuters) - Canada and Mexico retaliated against the United State's decision on Thursday to impose tariffs on steel and aluminium imports and the European Union had its own reprisals ready to go, reigniting investor fears of a global trade war. The tariffs, announced by U.S. Commerce Secretary Wilbur Ross in a telephone briefing on Thursday, ended months of uncertainty about potential exemptions and suggested a hardening of the Trump administration's approach to trade negotiations. The measures, touted by President Donald Trump in March, drew condemnation from Republican lawmakers and the country's main business lobbying group and sent a chill through financial markets. The Dow Jones Industrial Average <.DJI> lost 1 percent and the S&P 500 <.SPX> shed around 0.66 percent. Shares of industrial heavyweights Boeing fell 1.7 percent and Caterpillar 2.2 percent. A 25 percent tariff on steel imports and 10 percent tariff on aluminium imports will be imposed on the EU, Canada and Mexico from midnight (0400 GMT on Friday), Ross told reporters. Canada, the largest supplier of steel to the United States, will impose tariffs covering C$16.6 billion ($12.8 billion) on imports from the United States, including whiskey, orange juice, steel, aluminium and other products, Canadian Foreign Minister Chrystia Freeland said. "The American administration has made a decision today that we deplore, and obviously is going to lead to retaliatory measures, as it must," Prime Minister Justin Trudeau said at a news conference with Freeland. The S&P 500’s packaged foods and meats industry sub-index <.SPLRCFOOD> fell 2 percent, with shares of meat producer Tyson Foods Inc falling 4 percent, Campbell Soup Co 2.5 percent and spice maker McCormick & Co Inc 3 percent. The EU threatened tariffs on Harley Davidson motorcycles and bourbon, measures aimed at the political bases of U.S. Republican legislators. Shares of Harley-Davidson Inc fell 2.17 percent and Brown-Forman Corp , maker of Early Times and other bourbon brands, lost 2.1 percent. 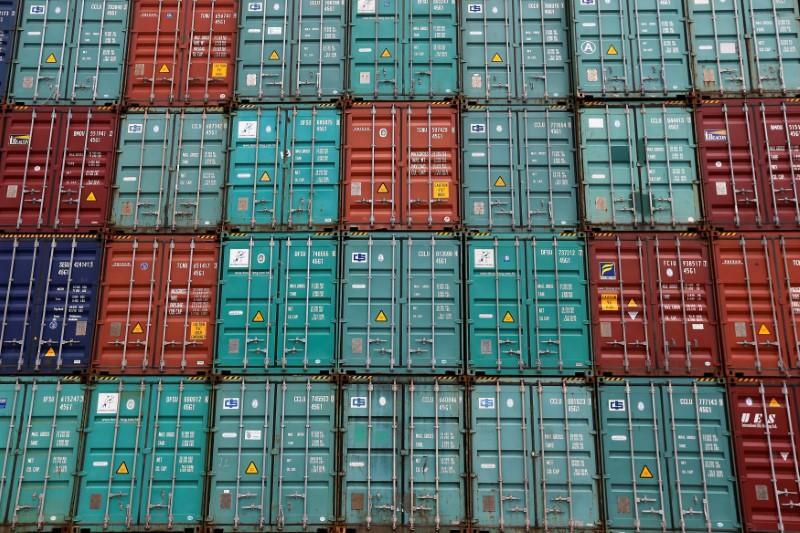 EU members have given broad support to a European Commission plan to set duties on 2.8 billion euros ($3.4 billion) of U.S. exports if Washington ends tariff exemptions. EU exports potentially subject to U.S. duties are worth 6.4 billion euros ($7.5 billion). U.S. Chamber of Commerce President Tom Donohue warned in a letter seen by Reuters to the body's board that current trade policies could threaten “economic progress” and cause the loss of more than 2 million jobs, mostly in states that voted for Trump and Republican candidates. The tariffs are part of Trump's effort to protect U.S. industry and workers from what he described as unfair international competition, a key theme of his "America First" agenda. The tariffs are aimed at allowing the U.S. steel and aluminium industries to increase their capacity utilization rates above 80 percent for the first time in years. The U.S. administration also launched a national security investigation last week into car and truck imports, using the same 1962 law it has applied to curb incoming steel and aluminium.